When you choose a luxurious new Maserati vehicle from our fine selection of new Maserati vehicles for sale in Thousand Oaks, California, you'll find the one that speaks to your own personal style. Whether you're interested in a new Maserati Ghibli luxury vehicle or Maserati Quattroporte S luxury sports sedan, or lease a new Maserati Levanteluxury SUV, your options are wide open and the choice is yours to make at Maserati Westlake. To compare all your favorite new Maserati vehicles, browse our dazzling Maserati lineup below. In our gorgeous lineup of new Maserati vehicles, you’ll discover all your favorite models for sale. And because our Thousand Oaks, CA dealership is committed to offering such a refined and revered selection of new Maserati vehicles, finding the one that makes you smile the most is always an option at Maserati Westlake. To start exploring everything we have to offer, explore our inventory online or give us a call today. Thinking about buying a used Maserati model or other pre-owned luxury vehicle from Maserati Westlake? 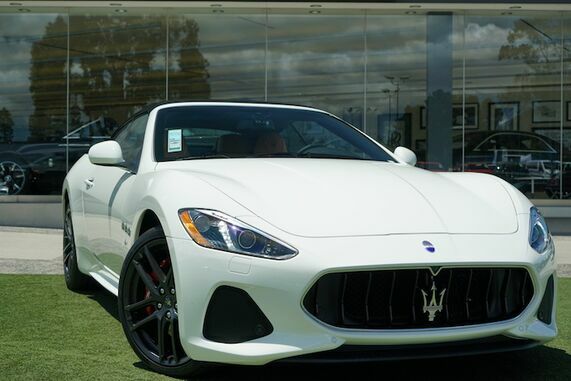 Thanks to our premium selection of used luxury vehicles, which includes all your favorite Maserati vehicles at great prices, you can connect with the pre-owned Maserati vehicle of your dreams for less. Want to take one of our new or used Maserati vehicles for a spin? Fill out our online auto financing application now and then stop by our Maserati dealership in Thousand Oaks, CA to find your dream car.